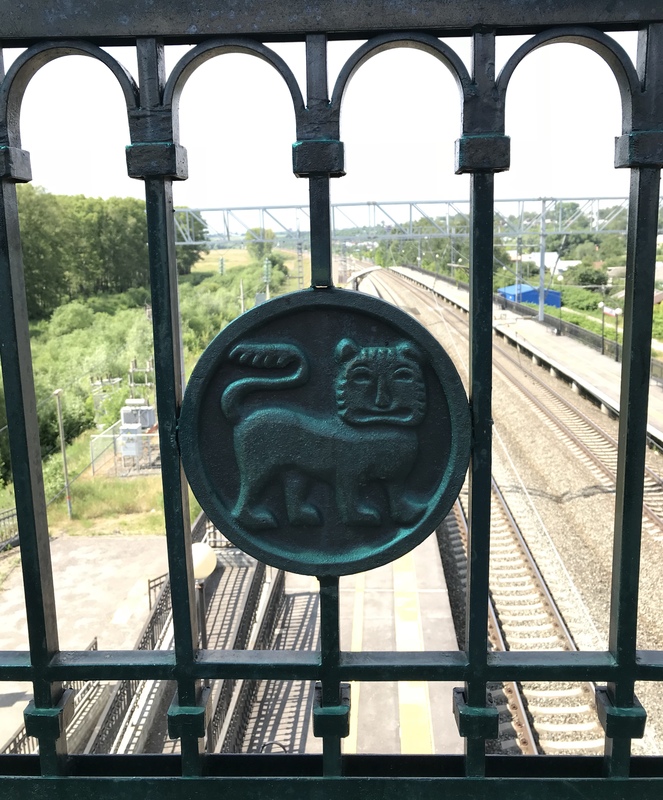 Vladimir – Bogoliubovo – Suzdal – a part of the “Golden Ring of Russia” traveling route. Vladimir and Suzdal were the successors of Kiev and the predecessors of Moscow as the capital cities. Sophisticated architecture of the Moscow Kremlin could be considered as the succession of the 12th century Vladimir – Suzdal monumental art. Moscow as the heart of the Russian statehood has its religious and cultural roots in the very essence of Vladimir – Suzdal principality. Visiting Vladimir and Suzdal can give the flavor to the Moscow artistic shapes, can give deep understanding of Russian historical background. Moscow – Vladimir (Vladimir – Moscow) by fast train (1 hour 45 min starting at Kursky train station in Moscow). The way from Vladimir to Bogoliubovo and Suzdal (small historical towns) we travel by car with a local driver (he meets us at the train station in Vladimir). The town of Vladimir (founded in 1108) was the 12th century political center of North-Eastern Russia. 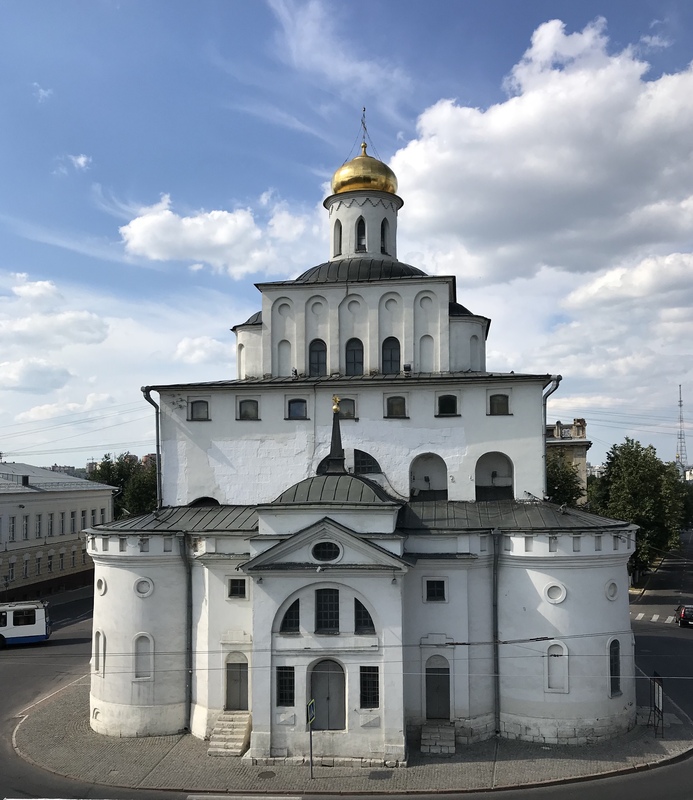 Authentic Assumption and Dmitrievsky Cathedrals, the Golden Gate of the town, part of the earthen rampart of the old city wall are preserved since than. 19th century provincial period is traced by streets in the down town. Panoramic view from the high bank over the Klyazma river shows typical endless forests and vastness of the Central Russia. The town of Bogoliubovo (founded in 1158) (in 2 km from Vladimir) was the residence of prince Andrey Bogoliubsky, one of the first Russian ruler, who tried to usurp the power, and was killed in his own “castles”. 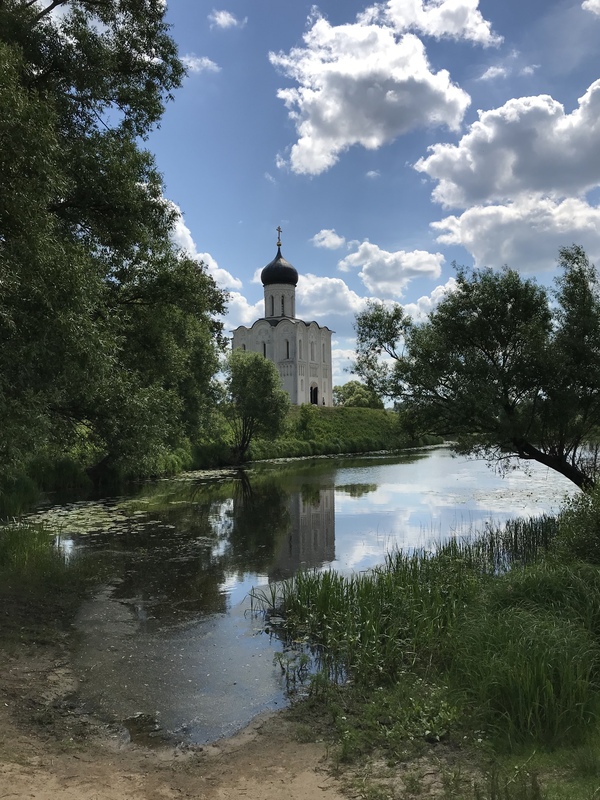 The living quarters of Andrey Bogoliubsky (in the Bogoliubsky Monastery) and one of the most iconic churches of Russia – the Cathedral of the Intersession on the Nerl river – partly survived since the 12th century. The church has over 5 meter deep rubble strip foundation (typical for most of the early Russian churches) hidden under the man-made hill. The town of Suzdal (founded in 1024) (in 20 km from Vladimir) as the residence of the Prince of Vladimir in the 12th century had it’s own Kremlin. Today it’s preserved to the look of the 16th – 18th centuries. It’s surrounded by a high earthen rampart – with a wide path to walk on the top. The Museum of Wooden architecture shows cathedrals, windmills, peasant houses under open air. Trading stalls (early 19th century) in the down town offer all the variety of traditional local souvenirs (Russian not China produced). The Intercession convent founded in the 14th century, is preserved to the architectural look of the 16th century. Nowadays it is an operating monastery with a crypt of Russian ex-Tsarinas, widows of the Tsars and noble women in the basement of the main cathedral. The Spasso-Yevfimievsky monastery founded in the mid 14th century, preserved as the 16th – 17th centuries stony fortress is a historical, architectural and art museum. Dozens of 16th – 19th century churches all around 15 square km of the Suzdal’s grounds.